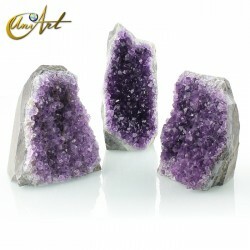 "Compré una geoda de cuarzo, una verdadera maravilla de la naturaleza vista en..."
price: (Retail)	29,52 € tax incl. Agate geode with erosion marks. A unique piece of Brazilian agate geode with marks of erosion. This agate geode has cute orange brown tones and an original format. 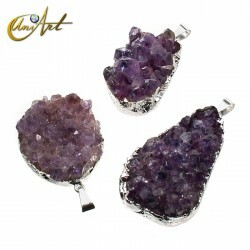 This agate geode has intense luster on the polished face. This blue agate geode measures 6 cm x 14,5 cm x 4 cm and weighs 610 grs.